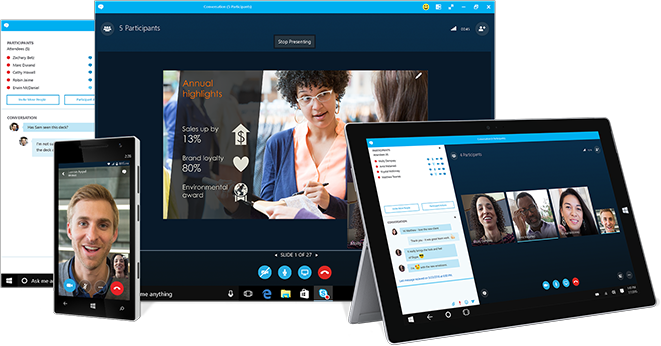 Connect with your team anywhere using clients across Windows, Mac, iOS, and Android, or bring remote participants into meeting spaces of all sizes with Skype for Business. Participants can join the Skype meeting using a dial-in number. You can also dial out directly to a landline to invite someone on the fly. Participants don't need the Skype app. Domestic minutes are unlimited. Tried our FREE SEO web audit? Have you tried our FREE SEO AUDIT. Get our free PDF report for your nominated webpage and keyword. © Bluesun Software All Rights Reserved.